Signature model Professional mouthpieces as played by Wycliffe Gordon. Developed by Pickett Brass. Available for trombone and tuba. Full sound, open feel, and flexibility like no other. 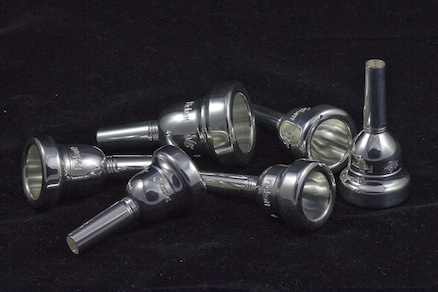 Balanced mass coupled with a comfortable rim has resulted in responsive and natural playing mouthpieces.